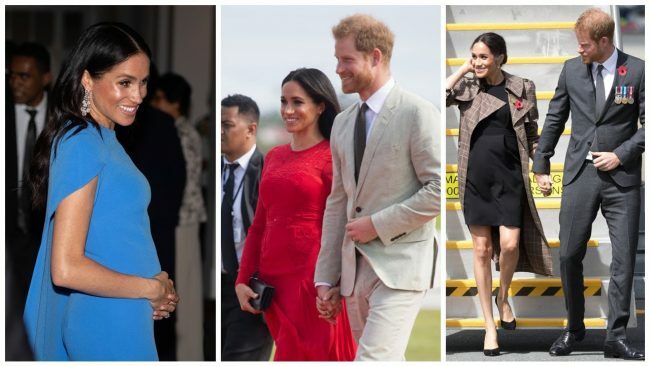 Multiple trolls on Twitter have accused 37-year-old Meghan Markle, the Duchess of Sussex of faking her pregnancy, and that her baby bump is not real. Sennie @MariadeLaaa Tweeted on Twitter that Markle probably spent millions in America & British taxes for that baby shower for her fake baby. Prince Harry should be ashamed of himself and make himself disappear if he had any decency left. Experts clarified Markle’s baby shower was not funded by money from taxpayers. Another Twitter user Spring Brad @SpringBrad1 posted pictures of Kate Middleton pregnant and Markle in the same condition. Both were at the six-month mark in their pregnancy. The owner of the Twitter account compared the sizes of their baby bumps. The account tweeted: “All credit goes to the taxpayers of Britain for funding the fillers and botox. We are so stupid.” the account hashtagged @moonbumps. ErebusHypnos9 @ErebusHypnos9 Tweeted: “Markle and Harry won’t hire a nanny because a pillow and moon bumps do not need one. Markle’s baby is due at the end of April 2019 or early May.